Meatball submarine sandwiches are the best sandwiches ever! I love that you can put them in the crock pot and a few hours later, put them on a submarine roll, add some cheese and your Italian meatballs and enjoy. When you have a get together or even dinner time, you are going to love meatball submarine sandwiches. My neighbor that moved to Arizona gave me this recipe and I think that we ate them two times a week for two months. I love how easy they are to put together. I just buy my meatballs at the store, or if you are feeling really ambitious, you could make some from scratch. Then I put two cans of spaghetti sauce over them and wait for the meatballs to warm up. Depending on how crunchy you like your bread, you will want to either broil them on high or low. Some people like their bread crunchy and some people like it soft. 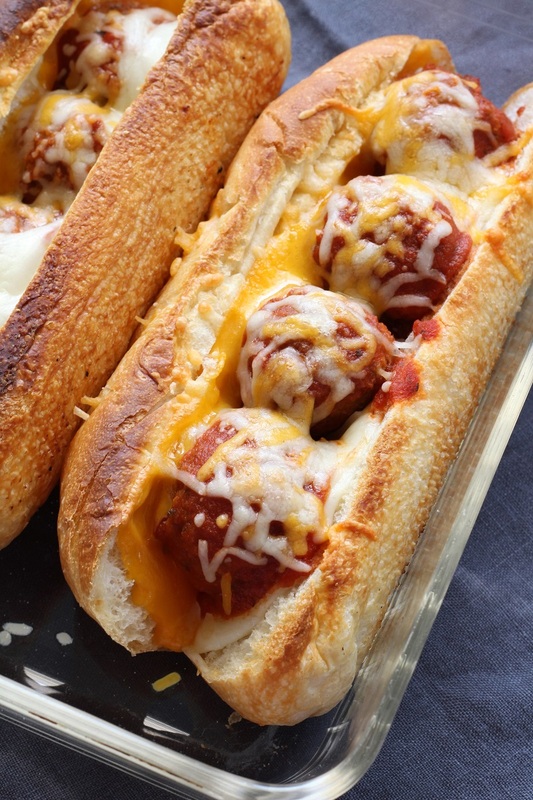 Or sometimes I use wheat buns to make these amazing meatball submarine sandwiches. How are you all holding out for the summer? It has been a warm one and my heart goes out to the firefighters! How in the world do they do it? Let me tell you, don’t let yourself get old like me. I think that my thermostat is not working? (The one inside me that is). Sometimes it is freezing in my house and we keep our thermostat on 77 degrees. So I have to go and get a jacket on. Then the next minute I am so hot I turn the fan on high. What works for you people? I know that I couldn’t have a job working outside, that is for sure. And today I was with some older ladies and they were commenting about the heat. I wonder when I grew into the older lady category? They were in their 70’s and I am not that old. But I didn’t feel so bad when I heard them not complaining, just suggesting that it was too hot. Also I asked one of them what happened to her eye and she said that she fell today and did a home run slide. Oh no! Then she took off her glasses and showed me her black eye. Then she swore me to secrecy, and told me that I hadn’t better tell anyone. (I’m not revealing her name)! So I guess that I had better start getting into better shape every day. I am pretty good about exercising and then I get kind of lazy. What kind of exercise do you do each day? I do try and stretch every other day and sometimes, I try and walk on the tread mill one or two days of the week. I like how I feel after I exercise. I started having some pains in my arms and in one of my hips when I sleep. Just a gentle reminder that it is important to exercise. One more thing is that when you get over 50, you cannot eat like you use too. I don’t know where the switch is that says you are now over 50 years old and so you can no longer eat like you use to. You can have half of what you use to eat and you will still gain a few pounds. Good luck. Fine, I will only eat one meatball sub. Another thing that was worrying me was that my hair is so thin. So I heard eat sea weed. Let me tell you, I must be a wimp? I bought crackers. Yuck. So then I bought this powder with 3 different kinds of sea weed in it because who doesn’t want their eye brows and lashes and their hair to thicken up. I just can’t do it. I really tried, and I even plugged my nose and added it to apple juice. It tasted like a dead fish on a bale of hay. I am just going to stick to meatball submarine sandwiches. They are much tastier. Enjoy! 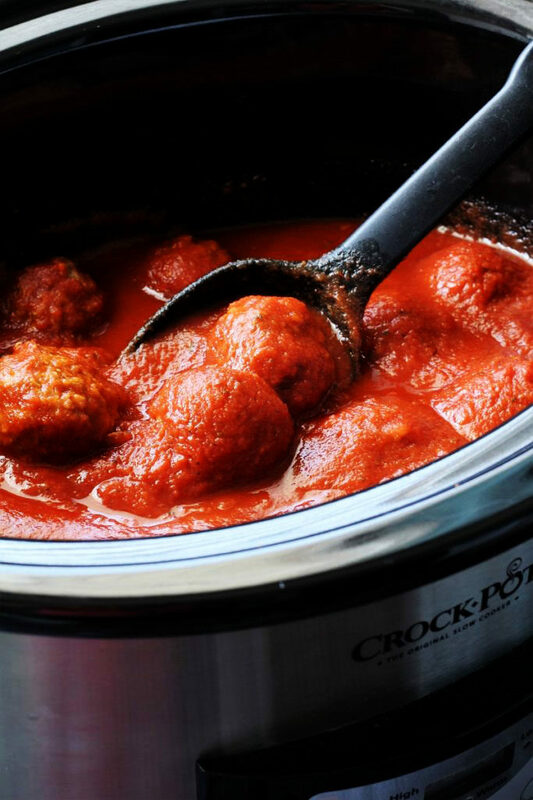 In a large crock pot, place the entire package of meatballs. Place both cans of spaghetti sauce over the meatballs. Turn the crock pot on low for 4 - 5 hours or high for 1½ - 2 hours. When the meatballs are warmed all the way through, cut the submarine rolls about ¾ of the way through, the long way. (Don't cut them all the way through). Cut a slice of the provolone cheese and the medium cheese and place them on the bun; one kind on the top and the other kind on the bottom. Place meatballs down the middle; I used four. Turn the oven on broil, high for about 2 minutes or low for 3 - 4 minutes depending on your oven. When the cheese is melted and the bun starts to brown, take out and enjoy. You can put sauce on the bun or just set some on the side for dipping. Oh yes…these look perfect for a rainy summer Saturday!!! They really are a good sandwich. Thank you for your comment. Isn’t that the truth!?! To be young again!!! I love that you just made meatball sandwiches. Sometimes I think that you and I have our minds in synch! Thank you for coming by. Of course these meatball submarine sandwiches are better that anything else right now.. I wish I can just grab and eat them. The way you describe them makes me salivate.. Yum Yum! Thank you. They are really good. I wish that you lived next door and I would make you one! Thank you for coming by and leaving a comment. Have a great day! These look so good and are definitely something that Joe would enjoy!!! Thanks so much for your visits!!! Glad you liked my “Under the Sea’ Tree!! I’m serious – I wish that you lived close enough for me to come and see your beautiful decor. I was just telling my sister how I like Victorian better than all of this new decor that is popular. And I will always love Nautical, which is probably a little weird for a country girl from rural Idaho!